The exact date of the foundation of the Grand Lodge is not known. 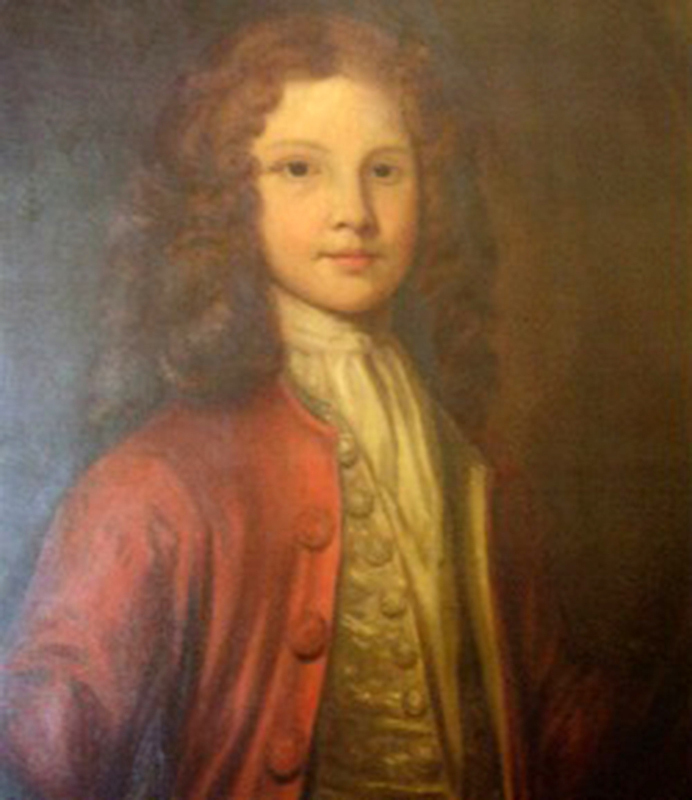 The first evidence for its existence comes from the Dublin Weekly Journal of the 26th June, 1725. 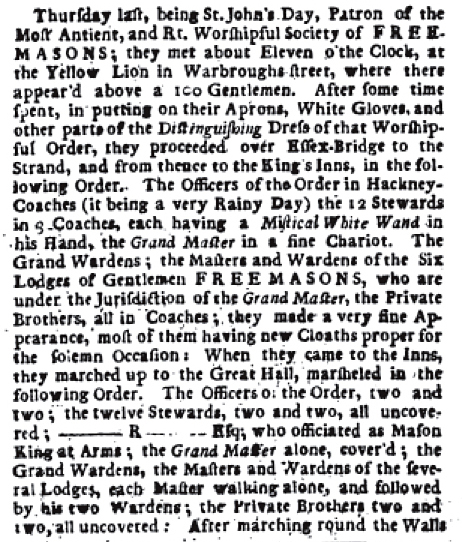 The paper describes an event, which took place two days previously on the day of the Feast of St. John the Baptist, the 24th day of June, 1725, namely, a meeting of the Grand Lodge of Ireland to install the new Grand Master, the 1st Earl of Rosse. The Installation of a new Grand Master would suggest it was already in existence and I would also suggest that since the Installation warranted only five lines in the London newspaper "The Post Boy" they were already aware of the existence of an Irish Grand Lodge. However, since there is no definitive evidence that a Grand Lodge was in existence prior to this date, 1725 is the year celebrated as the formation of Grand Lodge. During the eighteenth century hundreds of Lodges were founded in every part of Ireland, and most of these would have met at inns, taverns and coffee houses. In Dublin, Lodges were known to have met in "the Yellow Lion" on Werburgh Street, "the Centaur Tavern" on Fishamble Street, and "the Eagle Tavern" on Cork Hill, amongst others, and in Belfast meetings were held in "the Sailor" on Mill Street and "The Donegall Anna". 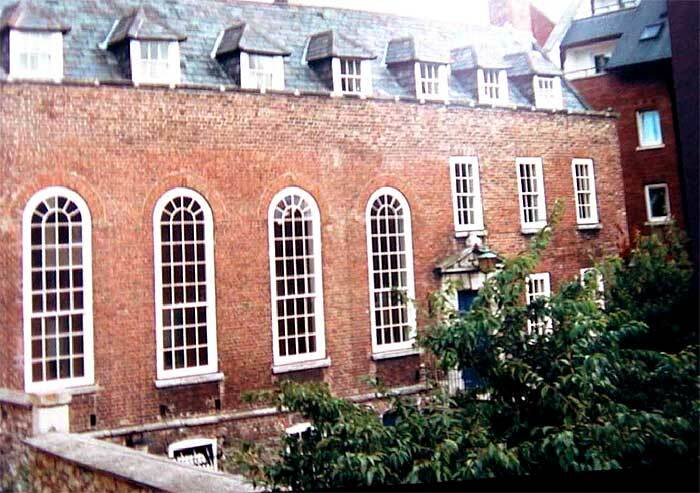 The meetings of Grand Lodge however, generally took place in civic and guild buildings such as the "Tailors' Hall" in Back Lane, "the Cutlers' Hall" in Capel Street, and "the Assembly Rooms" on South William Street. 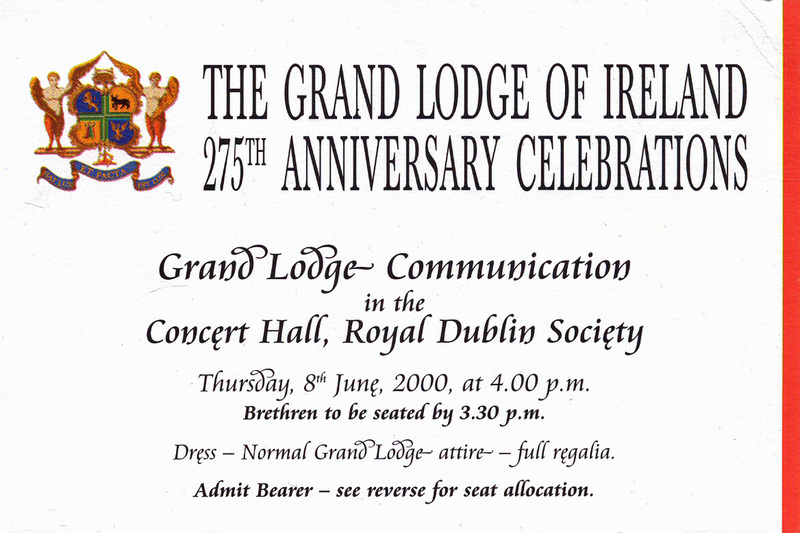 The Grand Lodge of Ireland celebrated the 275th of its Foundation on the 8th June, 2000. To celebrate the occasion a Grand Lodge Communication was held in the Concert hall of the Royal Dublin Society which was attended by some 1500 Brethren, the largest gathering of the Order in living memory. To access the Service of Thanksgiving and Praise Booklet given to Brethren who attended on the day "click" on the 275th Anniversary ticket to the left of this paragraph.